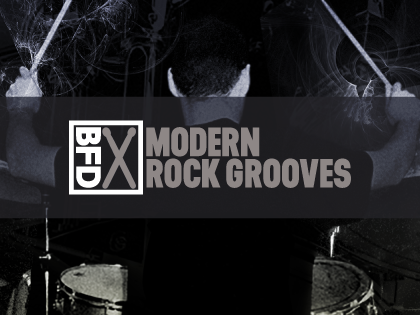 Modern Rock Grooves is a BFD3 Groove Pack with inspirational and heavy beats for a variety of rock genres. Designed to inspire riffs and kickstart songs, the included patterns are played live and dripping with the organic feel of a human drummer. Each of the 11 included Groove Palettes feature up to 32 4-bar Grooves alongside at least 4 Fills and an accompanying BFD3 preset to provide instant results. With over 250 patterns in total, Modern Rock Grooves is perfect for songwriting, jamming and practice sessions.